Billionaires and astrologers dislike Bernie Sanders for very different reasons. 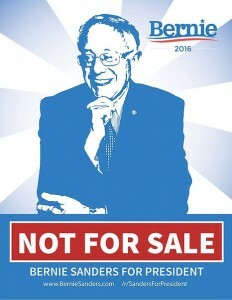 The very rich consider him a threat to redistribute America’s wealth into the hands of the 99%. Astrologers regard him as an enigma because his birth time is unknown, spoiling their prospects for predicting his political future. Since then, Israeli astrologer Isaac Starkman rectified his birth time as 11:43:40 AM EDT, giving a tropical ascendant of 16SC39 (sidereal 23LI35), while German astrologer Rolf Liefield rectified to 12:59 PM EDT, for a tropical ascendant of 01SG31 (sidereal 08SC28). Whereas the above two are Western tropical astrologers, Edith Hathaway and I both left that system years ago in favor of Jyotish. She has rectified Sanders’ birth time to 1:05 AM EDT, giving a sidereal ascendant of 16GE43. Although I hold her analytic skills in the highest regard, I don’t find a Gemini ascendant compelling, nor the sidereal Libra ascendant of Starkman’s rectification. I’m unaware of Liefield’s reasoning, but by some coincidence, we’ve both opted for sidereal Scorpio rising. I started with the 12:27 PM birth time reputedly recalled by Sanders himself those many years ago. How accurate could this be for a man whose own mother and father died when he was 18 and 21 years old, respectively? We may never know, but we should examine the chart and put his life to the test. Bernie Sanders, 8 September 1941 @ 12:33:10 PM in Brooklyn Heights, New York. (Note: I’ve added 06m10s to his reputed birth time for reasons explained later in this article.) All planets and cusps in sidereal zodiac. Upon first sight, this chart felt right to me. With Scorpio rising, his powerful lagnesh Mars (swa and retrograde) in the 6th house aspects right back into the ascendant. 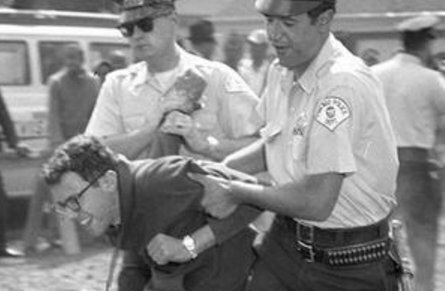 This corroborates several things that we know about him: his love of sports (basketball and track) during high school, his civil rights activism dating from his university years, his fierce independence in voting according to his conscience rather than party affiliation, and his growing reputation as a maverick in the finest sense of the word, ie, fed up with the status quo, and not for sale at any price. He has two raja yogas: 4th lord Saturn and 5th lord Jupiter combine in the 7th house to aspect his lagna; 9th lord Moon and 7th lord Venus mutually aspect each other across the 5th/11th house axis. He has one dhana yoga: 9th lord Moon opposed 11th lord Mercury. 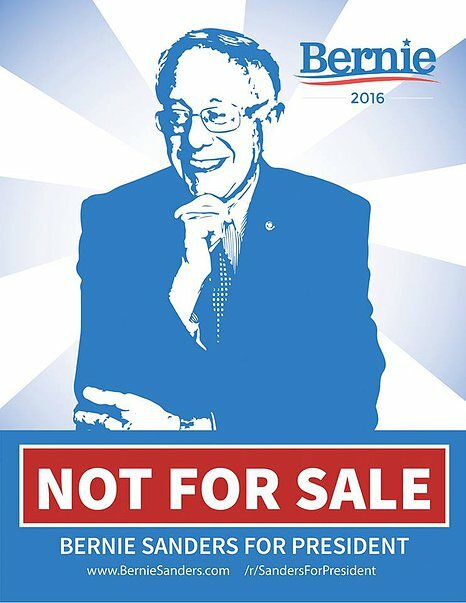 Sanders’ lack of wealth is seemingly a symptom of his I’m-not-in-it-for-the-money shtick. Later that may become a liability when Trump starts calling him a loser because he’s never owned a yacht. But Bernie doesn’t care. His currency is ethics, and that’s a check you can cash anywhere. 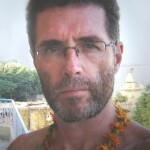 Surely it’s not hard to imagine a modest guru with a dhana yoga. Because he has no wealth, do we think the yoga strikes a dumb note? Maybe. That depends on the avasthas. Sanders’ dhana yoga has an exalted Mercury in the 11th mutually aspecting a full(ish) Moon in a Mercury nakshatra. Since Mercury controls this yoga, the buddhi, or intellect, will control the manas, the lower mind/emotions ruled by the Moon. For much of his pre-legislative career, he was a carpenter, writer, documentary film-maker and sometime performer (music and film). His Mercury/Venus opposite the Moon in the 5th give evidence of both an intellectual and artistic creativity. Government service is typically invoked on the strength of three key houses: the 5th for ministry of portfolio, the 9th for legislation, and the 10th for administration and power, all the more so if any of their lords or occupants combine among themselves or link to the ascendant. The 5th lord Jupiter forms a raja yoga with a strong Saturn (dig bala) in the 7th house, from which it aspects the ascendant. The 9th lord Moon is bright (just days past full) and occupies the 5th house from where it forms raja yoga with Venus in the 11th. The 10th lord Sun is very strong in the 10th (swa and dig bala) where its power is amplified by Rahu. All three of these lords (Sun, Moon, Jupiter) are considered sattwik. All three are natural friends. All three occupy positive houses. Moral code and ethics are seen in the 4th and 9th houses. The 4th lord Saturn is strong (dig bala), stable (associated with Jupiter the karaka for ethics) and aspects back into its own house. The 9th lord Moon is full(ish) and aspected only by benefics Mercury and Venus. Sanders’ mother died during his Venus dasha, Mars bhukti. Venus is a debilitated 12th lord. Mars primarily gives results for its star-lord Ketu. Malefic Ketu occupies the 4th and itself gives results for both the Sun and Saturn, both malefics aspecting it. The Sun is a powerful maraka for the mother, and Saturn rules the 3rd house, which is 12th from the mother. His father died during Venus-Rahu. Both 12th lord Venus and 8th lord Mercury aspect his 9th lord Moon. Rahu acts as a proxy for the Sun, which is a powerful maraka for the father. If we care to treat the Sun as a karaka for the father, then it’s afflicted by its enemy Rahu. 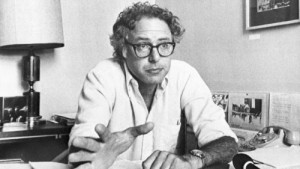 Sanders received a BA in Political Science during Venus-Jupiter. Both planets occupy positive houses, associate with or aspect a strong Mercury, and associate with or aspect lords of education houses 4th and 9th (Saturn, Moon). He was married during Venus-Jupiter, divorced 18 months later in Venus-Saturn. Venus is lord of the 7th. Jupiter is the benefic lord of positive houses (2nd and 5th), while the stronger malefic Saturn is a lord of mixed houses (3rd and 4th). His only son was born during Venus-Saturn-Jupiter. Venus merely aspects the 5th. Saturn strikes a dumb note. Jupiter rules the 5th. (Note: this is one of those events that doesn’t work as elegantly as we would wish.) Meanwhile, transiting Jupiter in the 11th house was aspecting its own sign in the 5th. He was married again during Moon-Venus-Saturn, and this one has lasted. The Moon gives results for its star-lord Mercury, exalted in the 11th. Venus rules the 7th. Saturn occupies the 7th. Note: the following brief career analysis via the D10 uses techniques taught by Hart de Fouw. Those unfamiliar with these principles are encouraged to read New Techniques of Prediction, Volumes 1 & 2, by Seshadri Iyer. The Sun is in the 8th house of the D10, aspected by Jupiter but flanked by Mars/Saturn. Lacklustre. The Moon is in the 12th, aspected by a strong Mars, but swa and participating in a Shubha Sankhya Yoga (benefics flanking a line of symmetry along the 1st/7th axis.) Good. Mars is in the 9th, swa, and aspected by a strong Saturn. Good. Rahu is in the 10th, debilitated but aspected by Jupiter. Rahu acts for its rashi dispositor. Venus in the 7th forms a Mishra Sankhya Yoga (benefic/malefic mixed) with Mercury (dig bala) and Saturn (swa, dig bala). Overall, good. Jupiter is in the 2nd, ordinary, aspected by its “sole enemy” (an Iyer term) the Sun, but that’s superseded via its participation in the Shubha Sankhya Yoga with a strong Moon and Mercury. Good. Saturn is in the 7th, swa and dig bala, in Mishra Sankhya Yoga with two benefics. Excellent. Mercury is in the 1st, dig bala, participating in both Shubha Sankhya Yoga and Mishra Sankhya Yoga. Very good. Ketu is in the 4th, exalted, aspected by strong malefics Mars and Saturn. Its dispositor Mars is strong and well-placed. Good. Venus is in the 7th, ordinary, participating in Mishra Sankhya Yoga. Good. 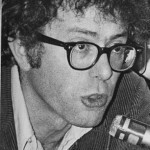 During his Sun dasha, Sanders became involved in politics but failed several times to gain office. Although the Sun itself is powerful (albeit afflicted), during its periods it will primarily serve its nakshatra lord Venus, who is debilitated. He was elected to Congress during Mars-Jupiter. Mars, like the Sun, is a kshatriya planet with command-and-control instincts, and their combined strengths give him a firebrand character. Sun is swa and dig bala, while Mars is swa and retrograde. Mars in the 6th for a Scorpio ascendant is a fighter. And although Sanders filed as a conscientious objector against serving in the Vietnam War, he has been a lifelong proponent for veterans’ affairs. The 5th lord Jupiter is a minister, and this period ushered in the first of his many committee appointments. Sanders was elected to the Senate during Rahu-Ketu. Since Rahu and Ketu act as powerful proxies for planets that associate with, aspect or disposit them, the pair of them acted in concert to deliver the goods for that very powerful Sun. He announced his candidacy for the Democratic presidential nomination during Jupiter-Jupiter. Since Jupiter primarily promotes the affairs of Mars, we get the sense of a major battle to defeat all comers, whether as Presidential nominee, or the job of Supreme Commander itself. 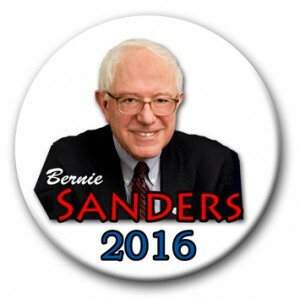 Is Sanders Presidential material? The kshatriya planets Sun and Mars are both extremely powerful. The lords of government houses (5th, 9th, 10th) are all strong, well-placed or involved in raja yogas. The kendras are occupied by three karakas of career (Sun, Jupiter, Saturn) while the fourth karaka of career is an exalted Mercury in the 11th. Can Sanders win the Democratic National Convention? During July 25-28, he’ll be running Jupiter-Saturn-Saturn. Jupiter/Saturn form raja yoga. Since Jupiter invokes Mars through nakshatra dispositorship, he will likely never concede, and take the contest to its legal limits. Saturn gives results for its star-lord Sun, which commands the chart. Transits on July 25 look good. Lagnesh Mars will be right on his Scorpio ascendant. Jupiter will be in his 10th house, in a Sun-ruled nakshatra, adding fuel to his status, since transiting planets generate results for their star-lords. The Sun will be in the 9th house, in a Saturn-ruled nakshatra. The Moon will be in Pisces in a Mercury-ruled nakshatra. Thus all three lords of “government” houses (5th, 9th, 10th) will be transiting those same pivotal houses. 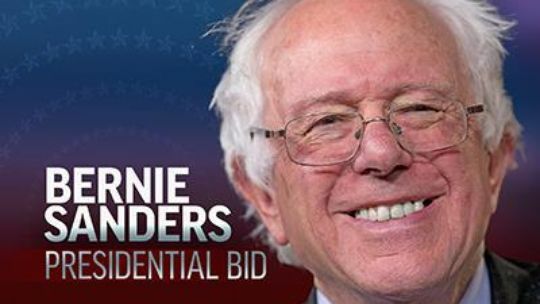 Could Sanders win the Presidency? On November 8th, he’ll be running Jupiter-Saturn-Mercury. As noted above for the dates of the DNC, Jupiter and Saturn work for Mars and the Sun, respectively. That leaves Mercury, which is exalted in the 11th, aspected by every other benefic, and working for its star-lord the Sun, also strong. By transit, Saturn will be in Jyestha, activating Mercury. Jupiter will have moved into Virgo and Hasta, activating his Moon both by aspect and by nakshatra dispositorship. His lagnesh Mars will be transiting Uttara Ashadha, exalted in Capricorn, and working to promote its star-lord, Sanders’ Sun. The Sun will be in Vishakha, enlivening his Jupiter. For the first part of election day, transiting Moon will be in Dhanishta working for Sanders’ Mars, and the rest of the day in Satabhisha to give results for Rahu, which is proxy for one planet only – Sanders’ powerful Sun in the 10th. If Sanders’ recollection of his birth time is correct, this Scorpio-rising chart suggests he is capable of beating the odds to become the 45th President of the United States. Interesting analysis! I sure hope he wins! !